Seeing through the challenging economic times requires an even more intense focus on quality, as this is what drives efficiency and cost effectiveness, according to Afrisam general manager readymix Amit Dawneerangen. Nithia Pillay, AfriSam’s national product technical manager readymix, highlights the importance of global ISO 9001 quality standards as the bedrock of the company’s systems and operations. “Controlling costs and quality internally is an ongoing process that feeds our continuous improvement process, which is vital in the highly competitive readymix market,” says Pillay. He notes that barriers to entry for new readymix operators are not high, but that the market expects excellence in every delivery. “Through honing our operations and carefully monitoring every aspect of our performance, we drive our own efficiencies and thereby make our offerings cost-effective to customers,” he says. Underlying the high performance levels is the expertise and experience in the business, argues Dawneerangen. The company’s levels of excellence were recently in the spotlight when it took both the Best Plant award for its Wynberg facility, and the Best Fleet award for its Gauteng readymix fleet, at the coveted Southern African Ready-mix Association (SARMA) awards. 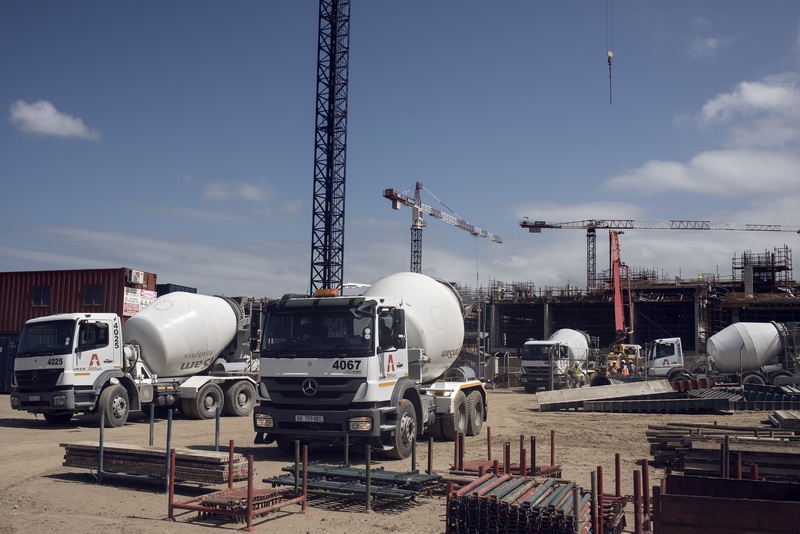 AfriSam’s contribution to the economy goes beyond adding value to customers’ operations, extending to various inputs that help keep the South African construction industry on a world-class footing.